Values of common trigonometric functions and their inverses must be on your finger tips if you want to score fine marks in the Entrance Tests. These values are used in physics and maths, so students of Engineering and business studies must remember all the values. 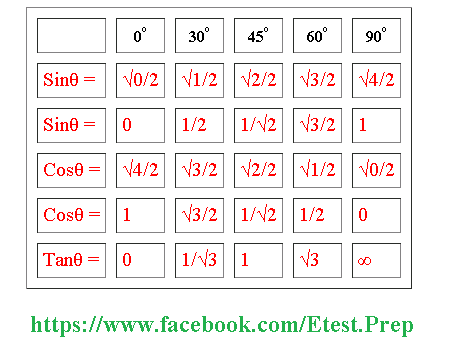 Given below is the table which is an easy way to remember the values of common trigonometric functions and their inverse. For example you want to find cos inverse of (1/2) , check 1/2 in row of cos theta and now check 1/2 lies under which angle, in this case its 60 degrees. So cos inverse (1/2) = 60 degrees.